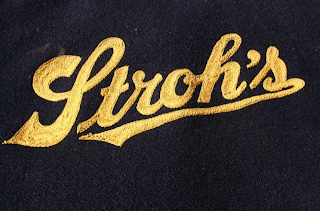 Very nice vintage 1950's era KING-O-WEAR Stroh's Brewery work jacket in a much favored 3 pocket design. 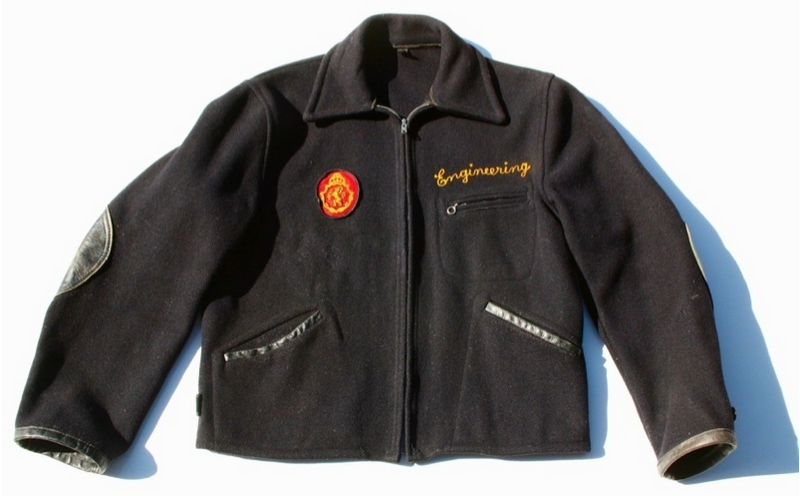 This classic Cossack style short wool motorcycle / work type jacket includes the following details. • Multi-color wool that looks like solid black but shows multi-color fibers under close inspection. • Leather detailing including elbow patches and cuff and pocket trim. 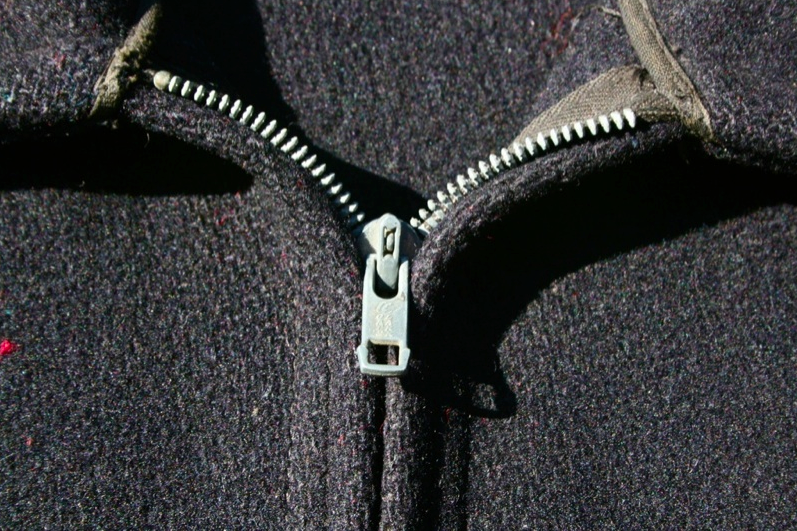 • Side buckle adjusters with twill tape edging. • Slightly angled rt. 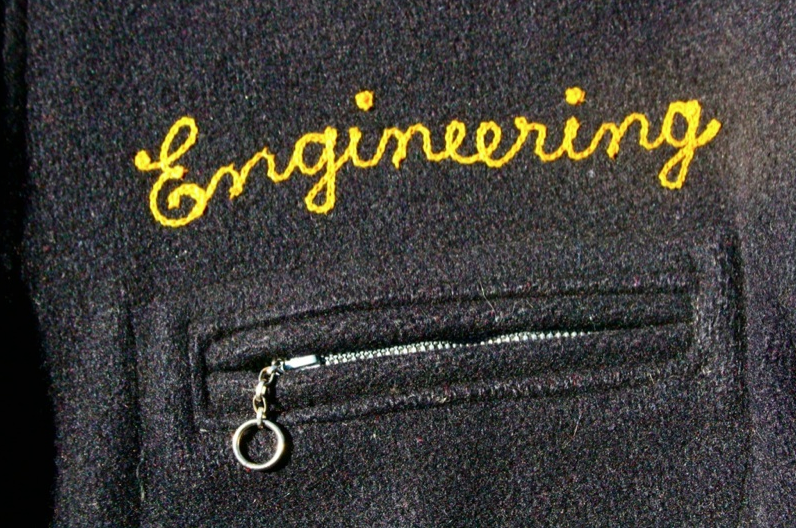 side chest pocket with ring pull zipper. 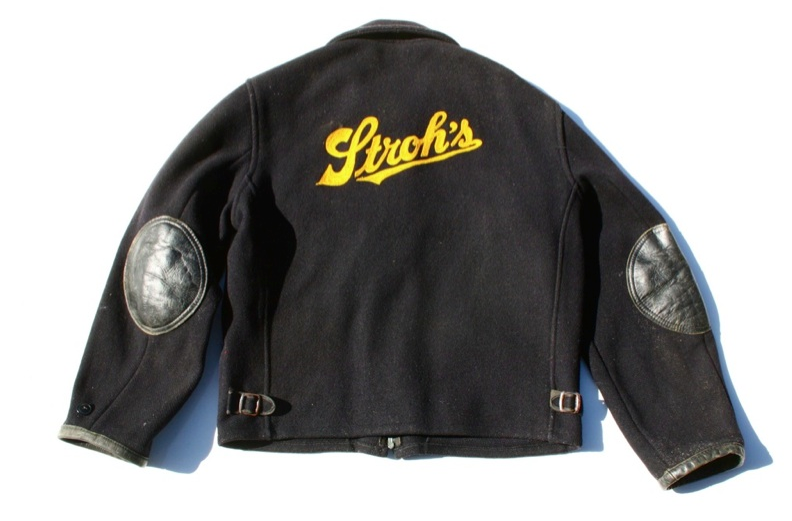 • Large chain stitched Stroh's logo on back and Engineering divisional ID chain stitched in cursive script above rt. chest pocket. • Union Made in the USA. I've seen this jacket before...love it!